Caius' Machinations is a rare Endurance action card. It is part of the Houses of Morrowind expansion. This card applies the Machination card effect. 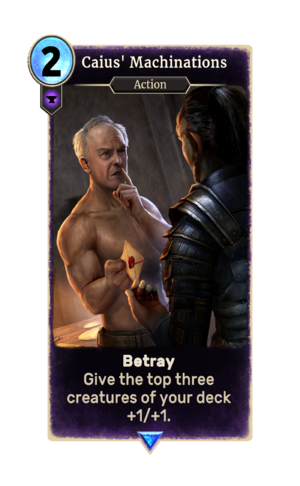 This card depicts Caius Cosades, who also appeared in Morrowind.